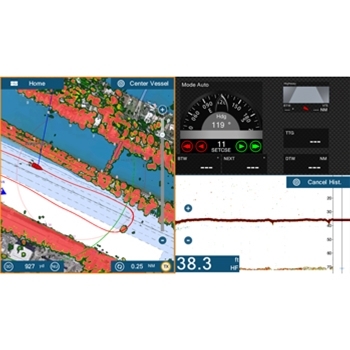 Furuno’s legendary fish finder performance is now available in a combination TZ Touch2! Re-designed with a sleek all glass front multi function display that looks as great as it performs. 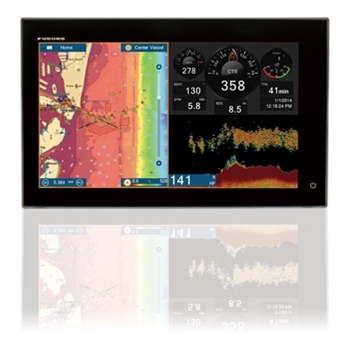 Fully compatible with Furuno’s full line of Ultra HD radars, as well as their DFF1-UHD and DFF3 black box fish finders, The TZTL15F’s all glass, bonded screen ensures there is no chance for it to become fogged during use. The screen of the TZ Touch 2’s are even polarized friendly meaning it will not black out when looking at it through your polarized sunglasses. 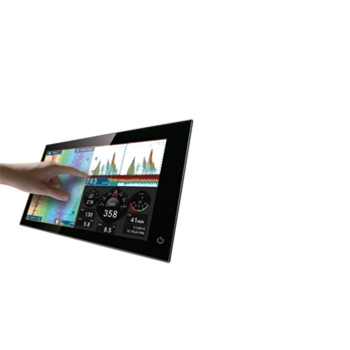 Like the first generation TZ Touch MFD’s the TZ Touch 2’s offer multi touch control but it is improved upon greatly with better response as well as being able to swipe your fingers from the edge of the screen. A new graphical interface reduces any learning curve for the TZTL15L and gives the user a new home screen, with its bright and crisp graphics, that is easy to understand and operate. Each Furuno 15" TZTouch2 comes with:15" Furuno TZTouch2, Protective Cover, Power Cable, User Documentation and a Two-Year Warranty.